Here?s presenting this rectangular mirror, with a wooden frame. This mirror has a sturdy back, which holds it firmly. The frame is silver in color with a swirl pattern on all its sides. 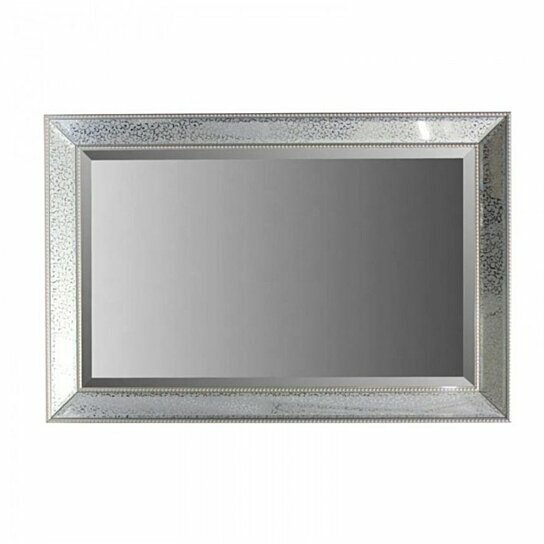 Silver color mirror usually work well with a range of home interior without any issue. So, do not worry about the color of the walls at home. This mirror can be part of your drawing room, bedroom, and kitchen or lavatory area. Install this mirror vertically or horizontally and make the walls look beautiful. This mirror will be great gifting option too.